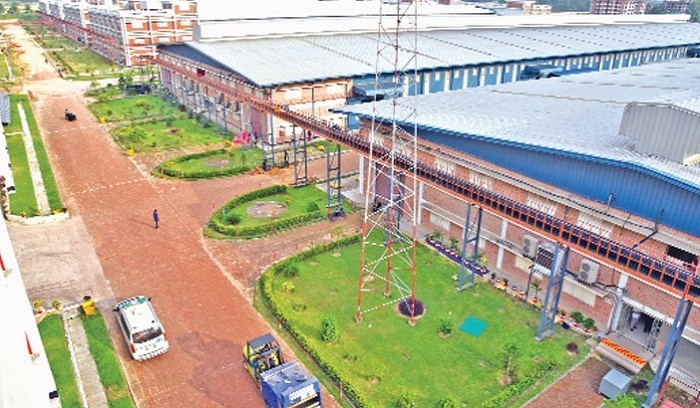 Six people, including three policemen, were injured in a clash between police and workers at Karnaphuli Export Processing Zone in Chattogram on Thursday afternoon. Sajed Kamal, sub-inspector of EPZ police outpost, said an Ansar member assaulted a female garment worker of ‘Kenpark-5’ factory while searching her bag when she was going outside during the lunch break. Following the incident, factory workers got together, beat staff members inside the factory and vandalised several vehicles. The agitated workers also torched two motorcycles. On information, industrial police and EPZ thana police went to the spot and tried to bring the situation under control. However, the workers hurled brick chips towards law enforcers, prompting a chase and counter-chase between them, leaving six people injured. At one stage, police fired rubber bullets to disperse them.